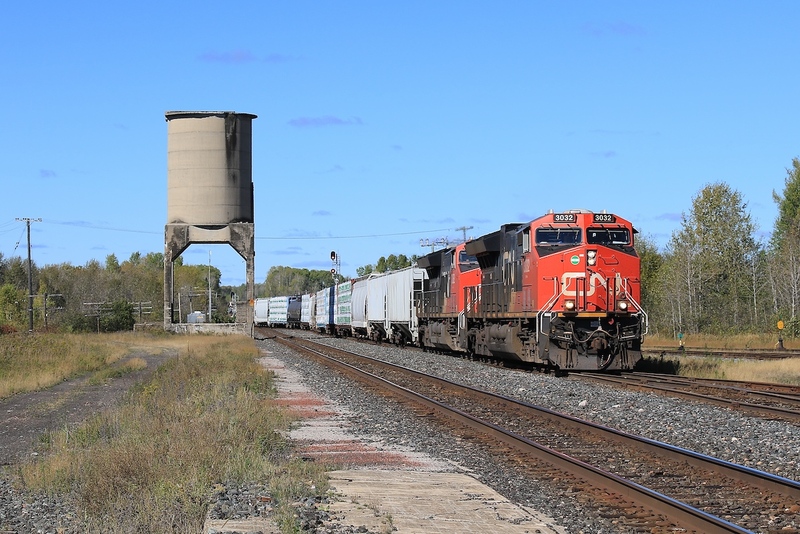 Railpictures.ca - Craig Allen Photo: Two ET44ACs bring train 332 into the yard at Foleyet where it will double over and allow a procession of three northbounds to race through. This was a fairly busy day in Foleyet, I saw a total of 10 trains over 8 hours! | Railpictures.ca – Canadian Railway Photography – photographie ferroviaire Canadienne. Caption: Two ET44ACs bring train 332 into the yard at Foleyet where it will double over and allow a procession of three northbounds to race through. This was a fairly busy day in Foleyet, I saw a total of 10 trains over 8 hours! Nice shot! This is likely train 322, however, which is Winnipeg to Chicago via Toronto – see the pic of this same train at Paris, ON the next day, 10/01!